BlueTree Website Design Portfolio, Multisoft UK. 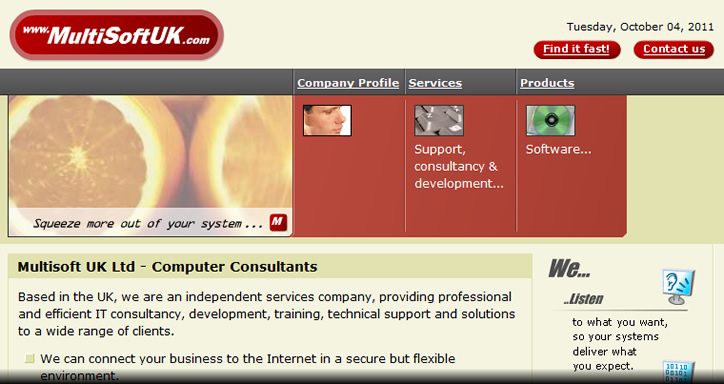 Another fine BlueTree website, developed and built for this successful West Country IT consultants. We host this site too, on UK-based, energy-efficient servers. “We’re an IT company and we were really impressed at the extent of BlueTree’s technical knowledge and understanding. Let’s face it, they’re primarily a graphics design company: they exceeded our expectations.